Cambridgeshire Constabulary’s approach to tackling business crime across the county has seen a boost with the launch of their new business security survey which business managers and owners can use to evaluate how vulnerable they are to being targeted by burglars. Most burglars are ‘opportunists’ and break into easy target business premises, but good security and basic precautions significantly reduce the chance of a business being burgled. The quick and simple survey has been designed to encourage businesses to consider the nine most common security considerations used by criminals outside and inside buildings, along with their staff’s knowledge and understanding. 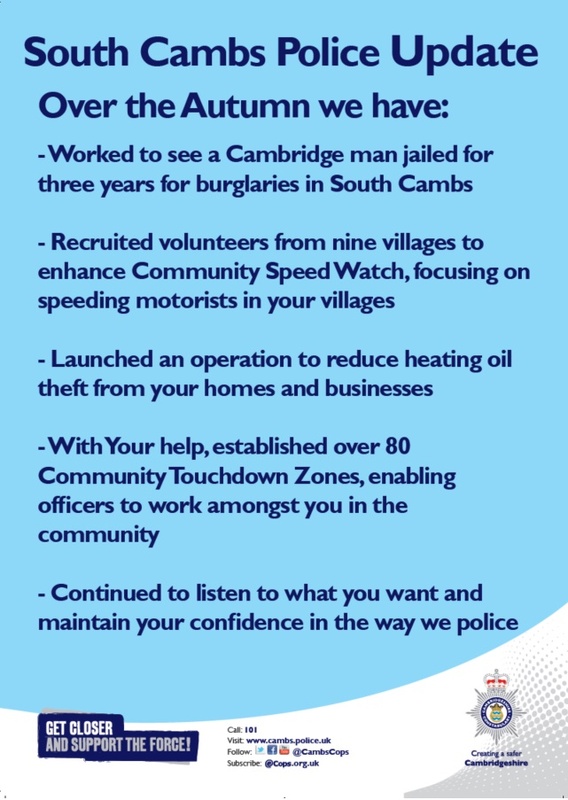 South Cambridgeshire Business Watch Co-ordinator, PCSO Carly Freed said “As many of the businesses I have dealt with have found, the consequences of being targeted by criminals can be much more costly than the obvious damage and goods lost. The costs can extend way beyond the financial loss to demotivated staff, wasted time and often disrupted or lost business and consequently damaged reputation. One such business owner who has reaped the benefits of investing in security is James Peck, Managing Director of PX Farms in Dry Drayton. Prior to the additional security improvements PX Farms was typically experiencing 1-2 incidents per week with almost £60,000 of goods stolen over a 12 month period. The majority of incidents were theft of fuel from the agricultural machinery and vehicles, theft of gas cylinders and vehicles, and criminal damage to fencing, many of which couldn’t be claimed for by against their insurance. Since PX Farms implemented the recommendations and improved their security the number and severity of crimes have significantly reduced to low level crimes such as criminal damage. This shows how reviewing your businesses’ security and identifying vulnerable points including access control, monitoring equipment (such as lights, CCTV and alarms), physical barriers (such as locks, security gates) and staff training can deter criminals from targeting your business. You can access the business security survey here, and for further business security advice and the full PX Farms case study visit the Cambridgeshire Constabulary website http://www.cambs.police.uk/GetCloser/BusinessCrime/. Following theft and attempted theft of caravans. Cambridgeshire Constabulary advise taking security precautions to reduce the chances of becoming a victim of caravan theft. Immobilise your caravan, even if you are stopping for a short time. 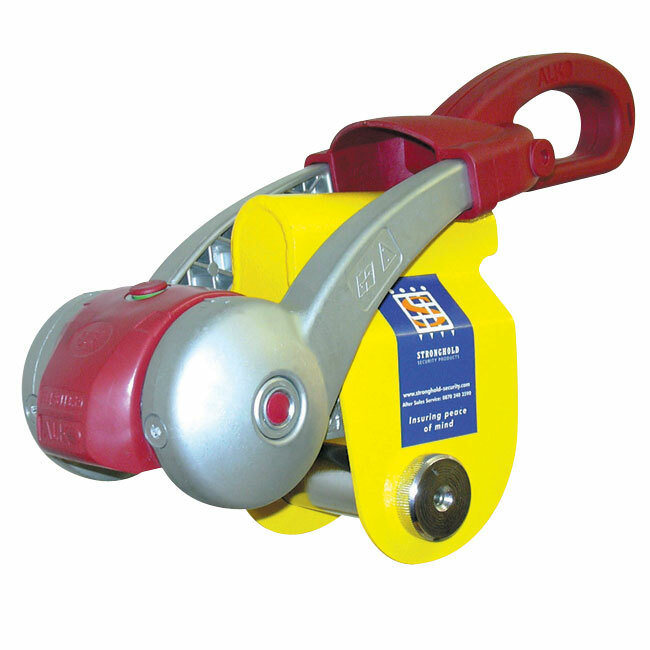 Many caravan owners will be aware of hitch locks and towing eye locks, as well as wheel clamps that are useful for when the caravan is not in use. Fit an alarm and use it each time you leave your caravan. Lock windows, doors and roof lights plus the gas compartment when you leave for any period of time. Keep the keys with you. Also look for lockable corner steadies. Alarms are available with tilt sensors, as well as leg sensor alarms. Other items that may be useful are secure locks for the main entry door (FIAMMA or Milenco) for example. Take valuables with you when you leave the caravan, or lock them away. Don’t leave items on display to tempt thieves. Specialist safes are available for caravans. Register your property for FREE with www.immobilise.com you can register anything with a serial number such as bicycles, mobile phones, laptops and also more unique items by uploading a digital photo. It is also worth considering using lockable posts or bollards so that the caravan cannot easily be towed away, think about how and where your caravan is parked, park up tight with the nose facing in to help deter opportunist attacks. Never leave registration documents within the caravan they may help a thief to sell the caravan on. Tracker devices will help trace your caravan in the event it is stolen. Also register with CRiS when you purchase your caravan, check the windows are registered and etched accordingly. When purchasing a new caravan ask about the safety and security features included. All caravans produced since August 1997 should be electronically tagged. When buying a second-hand caravan, try to verify the seller’s identity and check the number plate on the caravan matches the one on the tow car. If the caravan is registered with CRiS (Caravan Registration and Identification Scheme) you can check its history. If your caravan will be unused for long periods think about removing the wheels, and rest the structure on a wheel stand. For companies offering secure storage facilities, look for CASSOA certified facilities with ‘Gold award’ status, they should have basic security standards such as CCTV, and a no tailgating policy. Rachel Carr, Crime Reduction Officer.